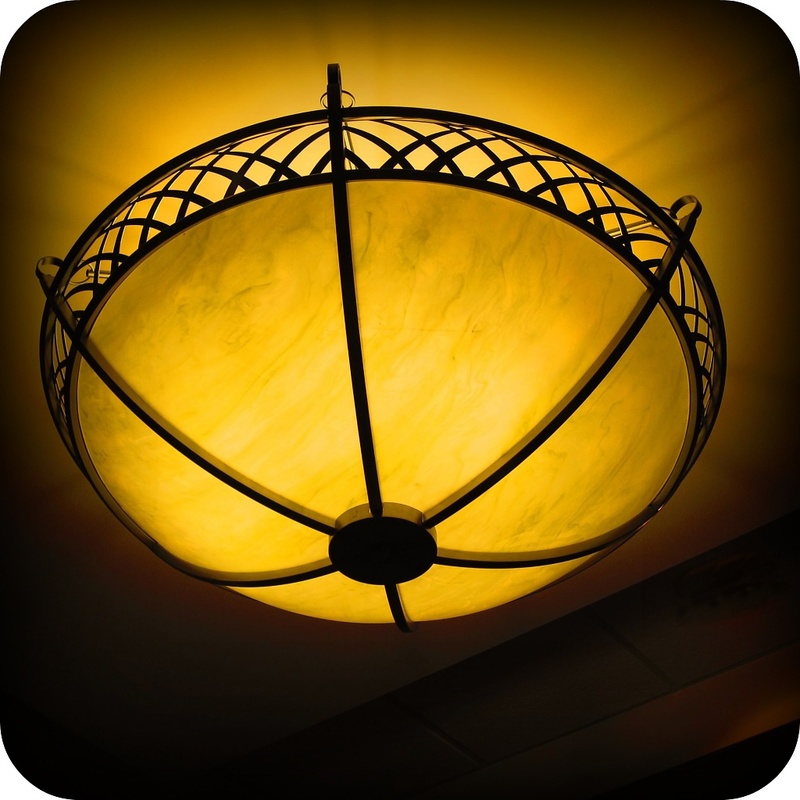 I happened to look up in this hotel lobby and liked the lines and shapes of this ceiling light. Nothing extraordinary but pleasing none the less. It is quite pleasing and warming too. I like the glow and lines in it. oh yes, glowing and warm, love that yellow glow! Great capture of the glow and lines in the light. This is beautiful...I love the warm light tone of a shade such as this.